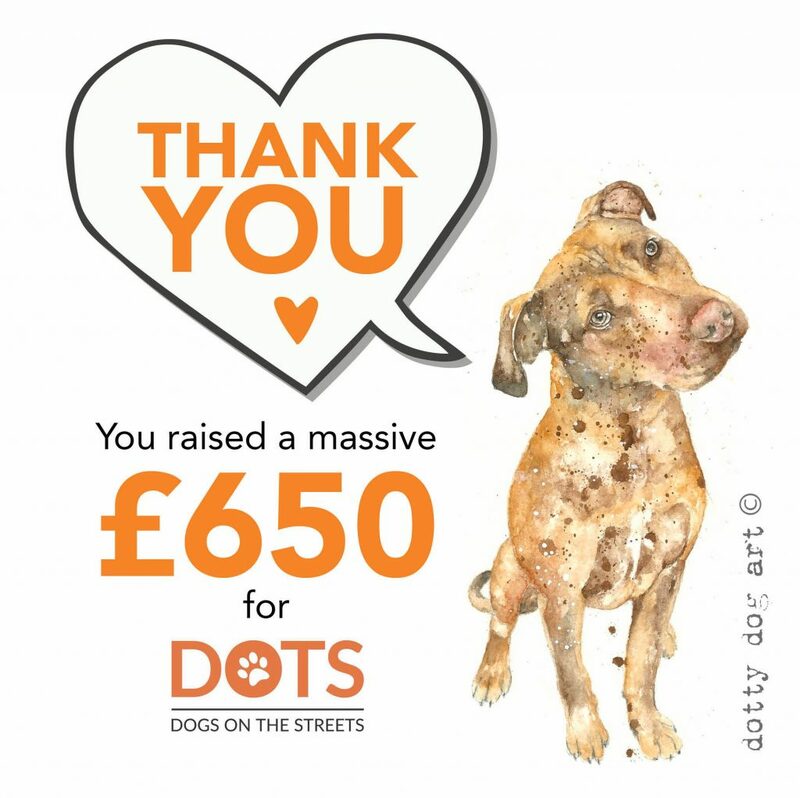 Dotty Dog Art teamed up with Dogs On The Streets (DOTS) and created a special edition Christmas card that has helped raise funds that will go towards the incredible work the UK based charity does for homeless dogs. 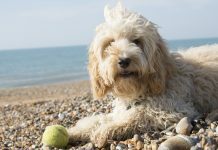 The volunteer run, non-profit organisation is dedicated to the welfare of dogs belonging to the homeless community in the UK. 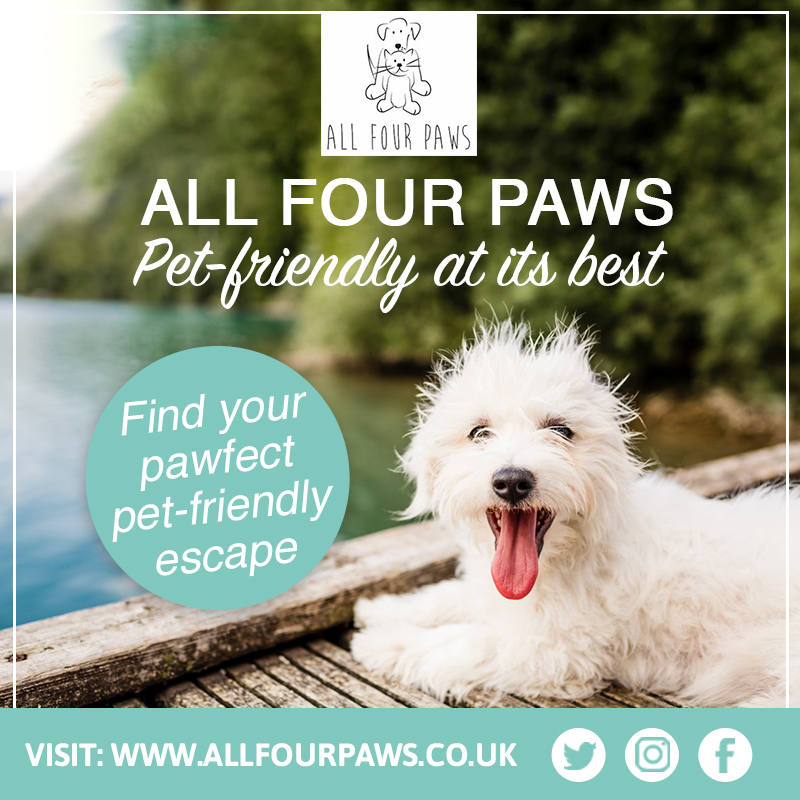 They understand how important it is to keep pets and their vulnerable owners together and have stations up and down the country taking care of dogs, providing them with food and essential items, veterinary services, grooming, training and much more. 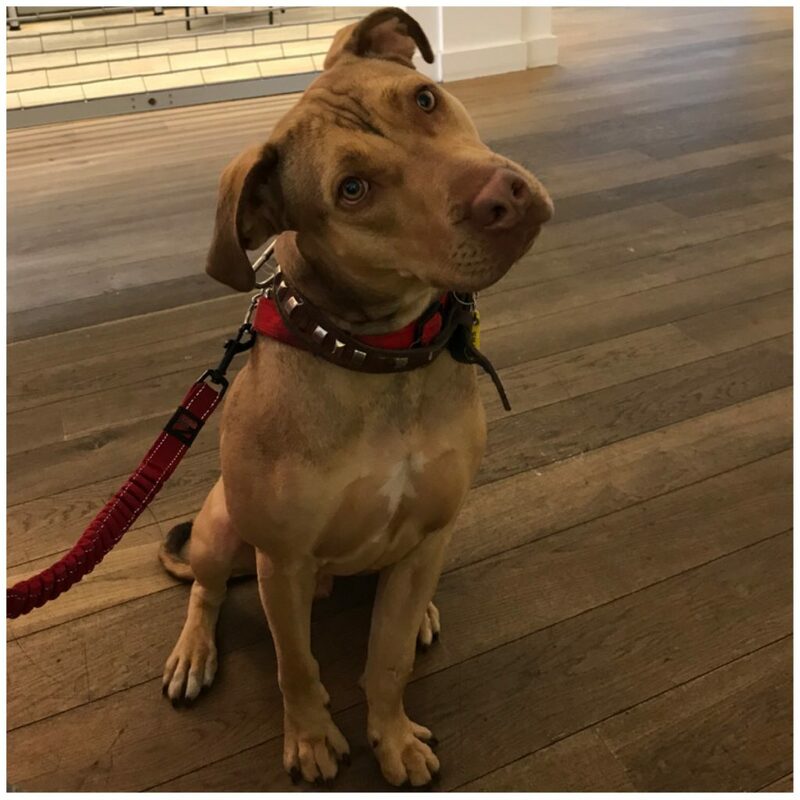 The difference the charity makes to homeless lives doesn’t stop there either, Michelle Clark, the founder of the charity, has been involved in a number of cases where she has been successful in getting homeless people and their dogs off the streets for good. Michelle already ran a street outreach programme for six years prior to DOTS and created a better understanding and a depth in knowledge of the true needs of the homeless. 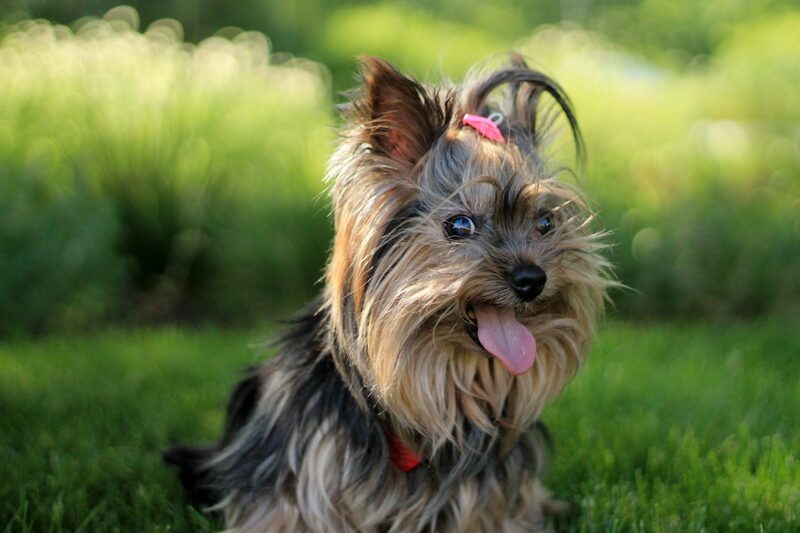 One special case has made a huge impact on everyone involved with the charity. A homeless man, called Arthur, and his dog were helped off the streets by DOTS after he was diagnosed with a terminal illness. 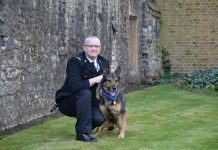 In his final months the organisation has been taking care of his beloved Staffie-ridgeback cross, Kizer. Recently the gentleman celebrated his last birthday with a surprise party, organised by Michelle, in which she asked for Dotty Dog Art to create a special birthday card featuring Kizer. Touched by the story, Kathy Fearn-Webster who has been creating Dotty Dog Art since 2013, decided she would design and paint a Christmas card featuring the lovely Kizer. The beautiful tribute cards were completely sold out in just 24 hours with all profits going towards DOTS, raising an admirable £650 for the charity. 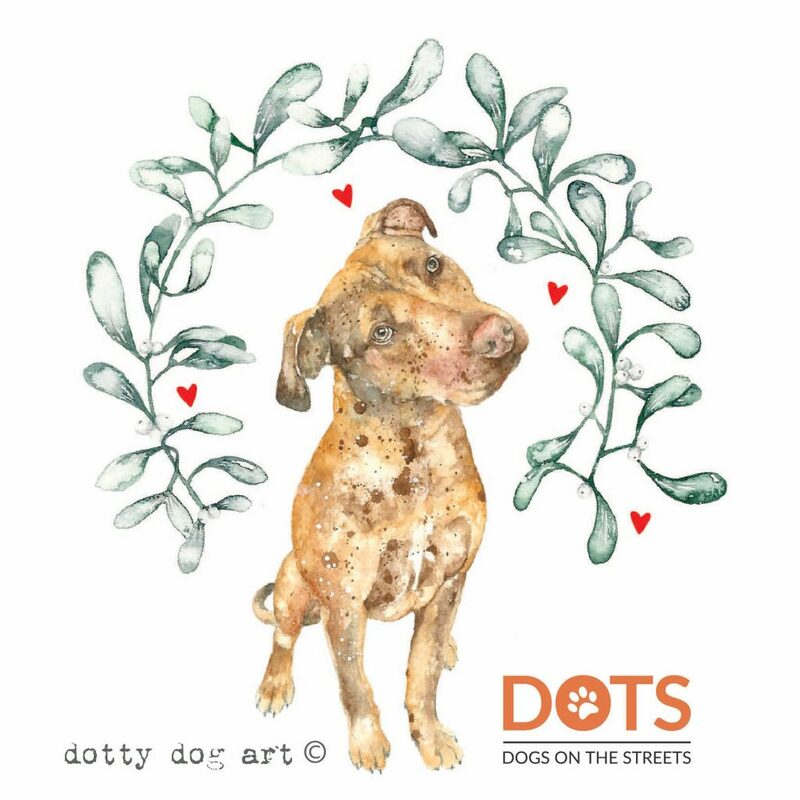 Kathy said, “I teamed up with Dogs on the Streets (DOTS) because we love ALL dogs here at Dotty Dog Art and strongly believe that all dogs matter. “I painted and designed DOTS a bespoke Christmas card that featured the extra special DOTS dog Kizer, who proved to be a big hit! 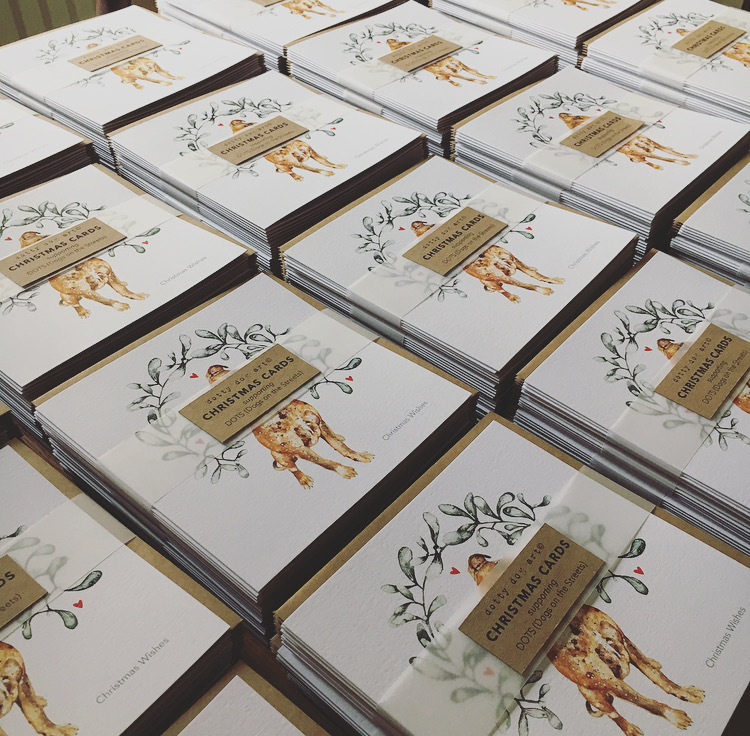 100% of the profits went directly to DOTS and we sold out of all the Christmas cards within 24 hours, raising a fantastic £650.00! 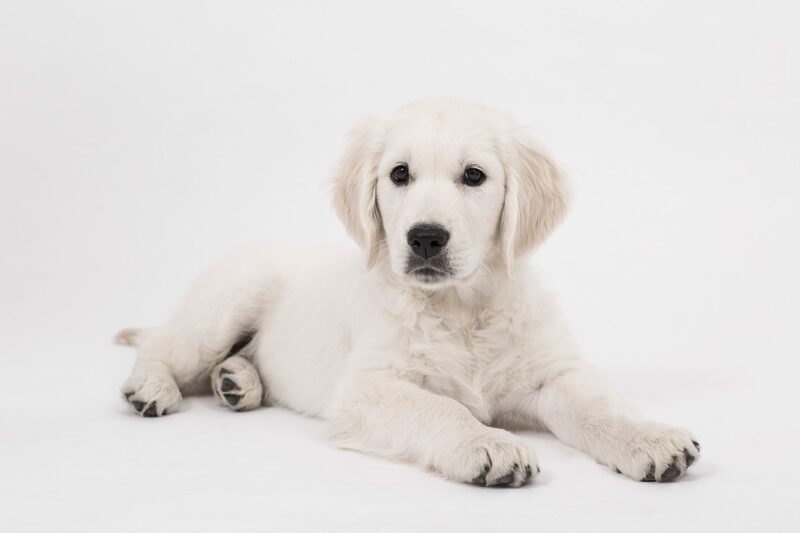 The time and art donated by Kathy has been hugely appreciated by DOTS as the money raised will fund their services and vet essentials for this Christmas period – when the charity is needed most. 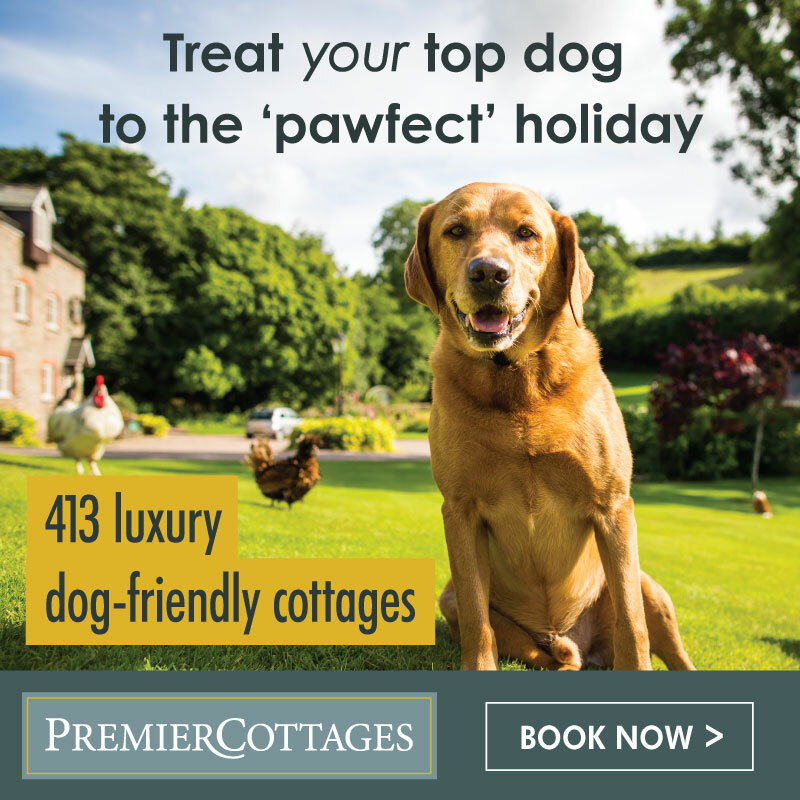 The cards are now completely sold out, however a 2019 Dotty Dog Art calendar is available on their website, with £1 from each sale donated to DOTS.